Happy New Year to all our readers! See you in 2010. P.S. 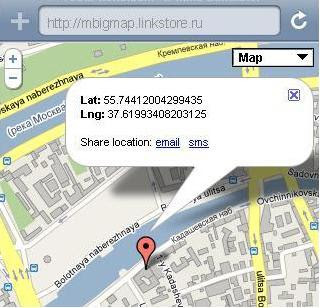 by the way, check out from your iPhone Mobile big map or create your own location sharing web application. Google Feed Server - Open Source project, lets you build Atom feed for databases. Technically it is Java application for Jetty or Tomcat. P.S. here is a very interesting list of Open Source projects from Google. Mashup Big map has been updated. 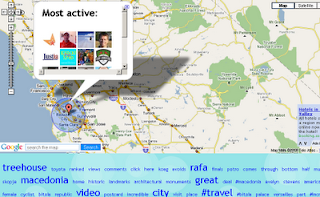 Full screen google maps you can share via email, twitter or facebook. You can annotate links right on the site, via bookmarklet or via HTTP API. Personalization tool for your mobile web application. Custom tag MobileLookup lets you obtain info about user's home network (e.g. country, operator). Powered by API from Ericsson Labs. 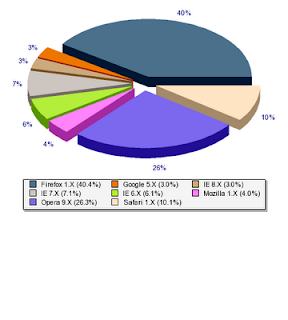 Let us present one tool lets you copy data right from the web pages to your mobile. It is about transferring web content to the phone. E.g. you are going to copy address info, scheduling, driving directions, prices in the shop etc. published on some page to your mobile phone. How to do that? 3. Your selected text will be passed to QR code maker mashup and just in one click you will be able to create a mobile page as well as an appropriate QR code. 4. And for the future usage you can save the link above in the bookmarks (actually, this link is a bookmarklet). So this web to mobile service will be available for any opened web page. Web gate project presents a bridge for the mobile Internet and Smart Cards Web Server (SCWS). This bridge provides a “standard” (practically defined and implemented) way for the mobile internet developers (web developers) to deploy smart cards based features in the own projects. All in all, Web gate is a development tool targets web developers and provides for them a smooth access to smart cards features. Posterous group blogs make it easy for lots of people to all post and collaborate because all it takes is an email address -- no Posterous account is needed for people to participate and get right into it. Now they've brought that power to Facebook, Twitter, and wherever else you and your group have an audience. See here. Mashup Pictures from Twitter has been updated and support now geo coding. You can request photo from some area, just pass two parameters to the original URL: lat - latitude and lng - longitude. For example, here is a photo stream from Googleplex: Google, US. Maybe, there is something new about Google phone? P.S. btw, you can get latitude/longitude for any place here, for example. Just click on the marker. The "random" collection in Coldtags suite is growing. Now see Random color taglib, lets you generate random colors. Our collection of bookmarklets has been updated. Check out for example a quick (one click) access to Twitter search. Just select any word (words) from the opened page and click on Got mashup from your bookmarks. Did you realize, that this mobile web application is actually a great tip for Posterous. You can not only share your location with friends by email, but also post geo-data right to your Posterous blog. Just email right from the map. Dynamic properties - .ini files with some special add-on. Properties could be defined in dynamic. You can copy this link right to your mobile from QR code above. Also you can use this short URL http://bit.ly/7zu3iY. Server-side component for JSP (and/or Coldfusion) lets you perform some specified actions upon session closing - Last wish taglib. Memory leaks preventing for your applications. Mashup Twitter location lets you publish geo-related information to Twitter. It is not about geo tagging in Twitter. Actually users do not need to geo-enable their accounts. Twitter location is just a way for publish messages (statuses) with some geo-related data. Click on the map and mashup will prepare for you a link to appropriate Google Map. So if our information system programmatically collects all statuses with hash #discount we can easily extract latitude/longitude pair from the each message. Ant then show them on the map, display "nearest data" in mobile mashups etc. JSP custom taglib for UI development - Exclusive checkbox. This taglib lets you add a special behavior for your checkboxes. Only one checkbox can be checked at a time. It is useful when only one of choices can be chosen, similar to a radio button. But the use of checkboxes lets you to uncheck something what is not possible with radio buttons. You can copy this link right to your phone with QR code above. Also you can use a short URL: http://bit.ly/7zu3iY. This map should work on iPhone and Android. I think S60 from Nokia should be supported also. Try it. P.S. By the way, the static mobile maps could be created with our mashups Mobile maps and QR map. Twitter mashup Buy & Sell has been updated. Lets you see buy vs. sell messages (statuses) in Twitter. Additionally, now you can see two "newspaper" formats: buy and sell. Mashup for Google Street View and Twitter – Tweet Street View. Drive with Street View and see tweets nearby. You can see Street View and either an appropriate map or a list of Twitter messages nearby. So you can read the latest real-time news for the places you are in with Street View.